Zutara. . Wallpaper and background images in the Zuko and Katara club tagged: zutara katara zuko avatar the last airbender waterbender firebender. oh.my.gawd. HAHA! I LUV ZUTARA! lol ur funny! 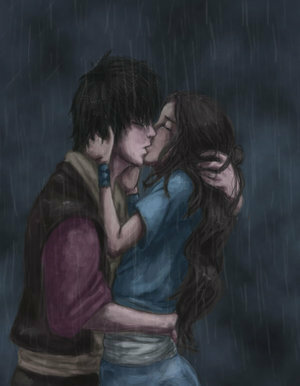 but kissing in the rain is soooo romantic!!! "Kissing" is really hard to draw. this is a great pic!